Ocean view right on promenade. People at front desk and breakfast were very accommodating. Staff was very helpful and very nice at all time ! Not expensive for the space that there is ! Very clean, very spacious and great location ! Totally recommend this place ! Everything was perfect, quite big, very cleaned and confortable. We did not have any hot water anywhere in the apartment at night and could not shower after a day of sightseeing. But the reception staff was helpful and let us use another room. 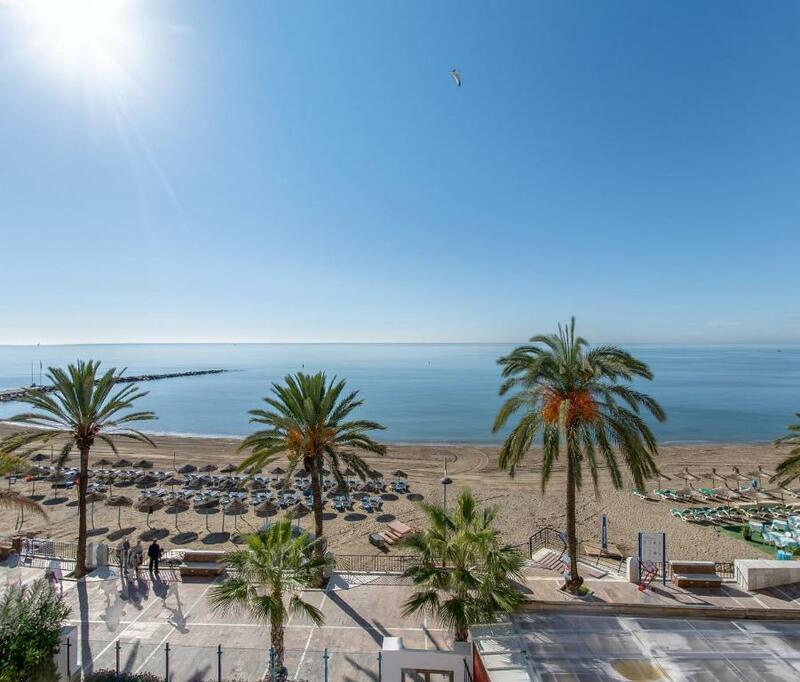 Great location, easy to get to from Malaga airport via bus direct to Marbella On the beach/malecon. We stayed 11 nites in a studio with great side view of sea, large balcony + sunsets. Front desk thorough, helpful, effecient. Hired their bikes for the wk. Grocery store close. Apt was a little tired looking re: needing paint, otherwise v.clean with daily maid service. Twin beds very firm which we like. Lock in a great price for Aparthotel Puerto Azul – rated 8.7 by recent guests! Aparthotel Puerto Azul This rating is a reflection of how the property compares to the industry standard when it comes to price, facilities and services available. It's based on a self-evaluation by the property. Use this rating to help choose your stay! 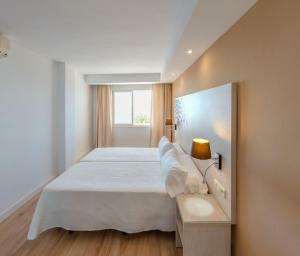 Located in central Marbella, Aparthotel Puerto Azul is next to Fontanilla Beach. 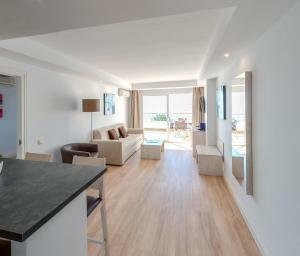 It offers a 24-hour reception, outdoor pool and air-conditioned apartments with a private balcony and satellite TV. A terrace, a satellite flat-screen TV and air conditioning are featured in units. 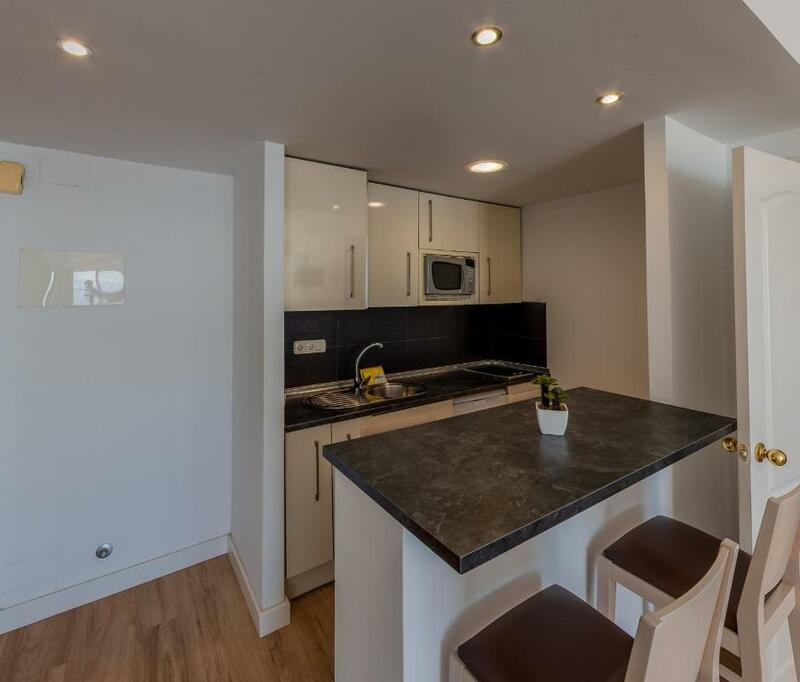 Each apartment has a kitchen that includes a microwave and fridge. A safe is available for a surcharge. 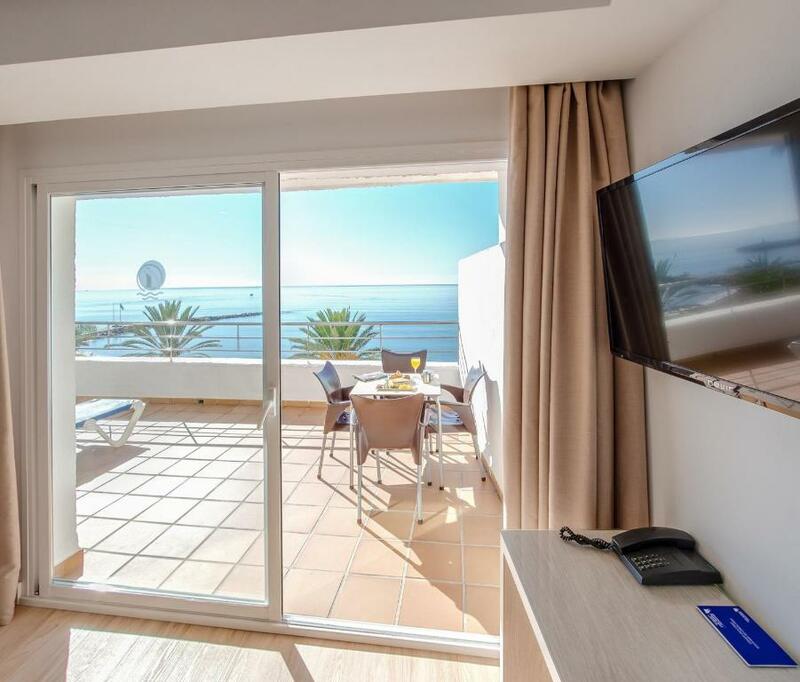 Puerto Azul is just 5 minutes’ walk from Marbella’s marina and historic old town. 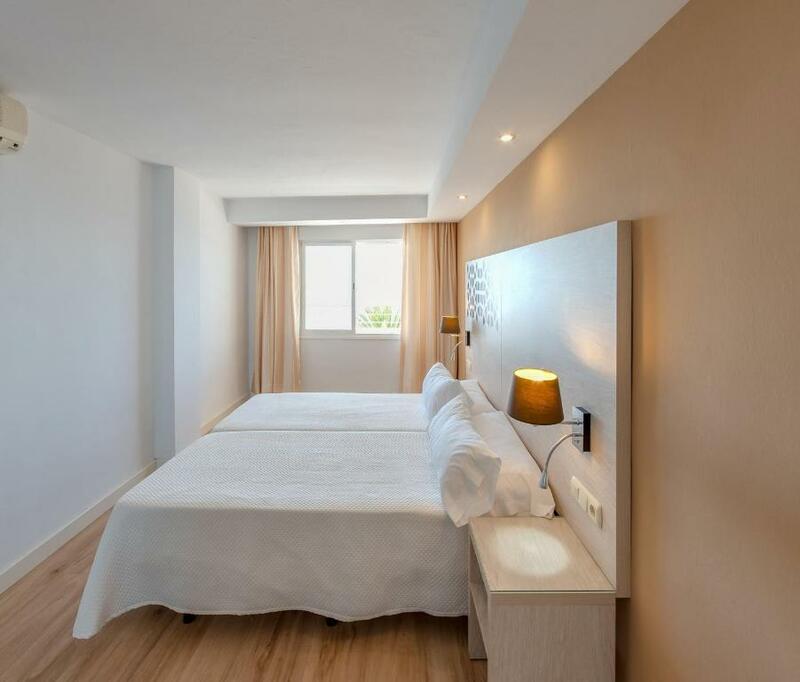 The popular resort of Puerto Banús is 10 minutes away by car or bus. Sirocco Restaurant serves a buffet breakfast, daily menues, and dinner a la carte. Free WiFi is available here. There are also free weekly flamenco shows available from April to October. Teatro Ciudad de Marbella is 0.9 mi from Aparthotel Puerto Azul. 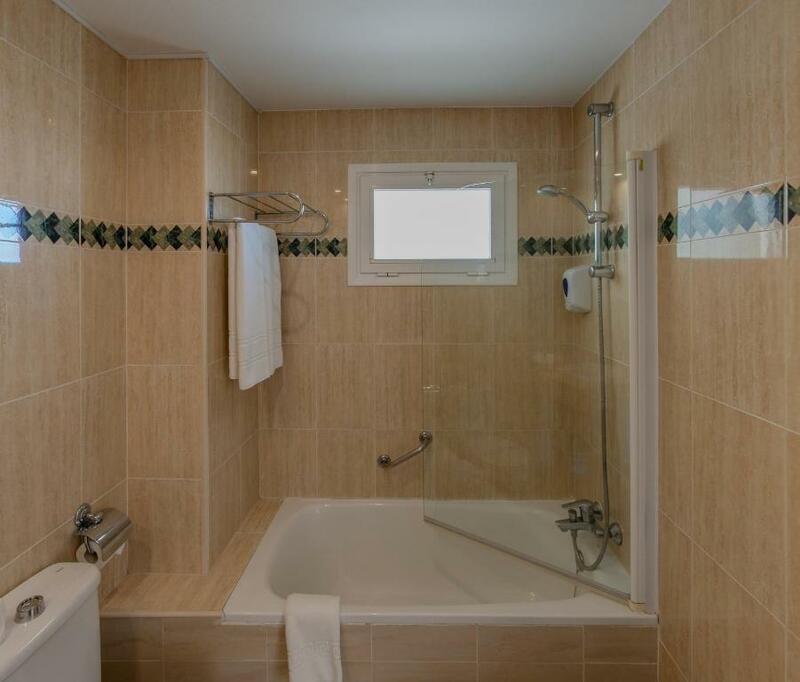 The nearest airport is Malaga Airport, 25 mi from the property. 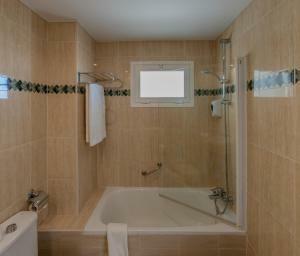 뀐 Located in the real heart of Marbella, this property has an excellent location score of 9.5! When would you like to stay at Aparthotel Puerto Azul? This studio has side sea views. This apartment has a side sea view. This apartment has a large terrace with 2 sun loungers and fantastic frontal sea views. House Rules Aparthotel Puerto Azul takes special requests – add in the next step! Aparthotel Puerto Azul accepts these cards and reserves the right to temporarily hold an amount prior to arrival. Please inform Aparthotel Puerto Azul of your expected arrival time in advance. You can use the Special Requests box when booking, or contact the property directly using the contact details in your confirmation. The pool/pool area is small but when you're literally a stone throw away from the beach, that hardly matters. Rooms were a good size, very clean and had everything we needed. The location however is the best part, right in the middle of everything! The mattress had a waterproof cover that was very uncomfortable to sleep on. I placed a blanket under the sheet to ensure a nights sleep. Hot water went by very fast. The second person to shower wouldn’t have hardly any hot water. Excellent hotel in an excellent location and good value for money, couldn’t fault a thing. Very comfortable, clean, well equipped and plenty of room. Enjoyed my stay here and will be back. Nothing to dislike. Met our expectations for a very short visit. Location was perfect. Access to the promenade and beach. Lovely walks and restaurants. Great location and view. The apartment was spacious and clean. Breakfast is good and the location of the breakfast restaurant is quiet and cosy.